Bearville Guide Forum :: Express Yourself! :: Your Blog and your Pet's Profile :: Create a profile for your BGF Pet! 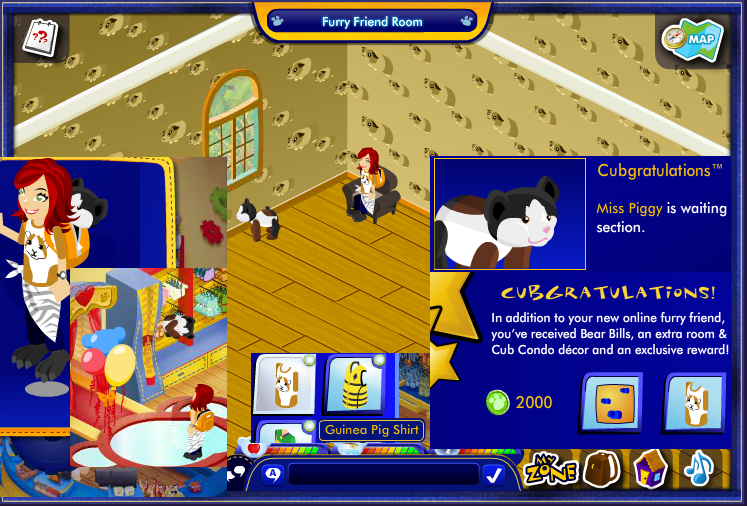 Join me in welcoming Miss Piggy of the Guinea Pig clan Bearville. love the 3d effect wallpaper. She looks very similar online and off. We want to thank the St. Louis Zoo (babw) for the honor of bringing her to our residence. Soft, furry and calico-we welcome this lovely edition to our family. $2.17 after $12 off furry coupon. also spent another $2.17 at different babw using 3 $5 off coupons. She is wearing offline Stitch costume, purchased today. (really wanted to have online version of offline costumes). guest services. crosses fingers -hoping.